The open office presents some etiquette concerns. 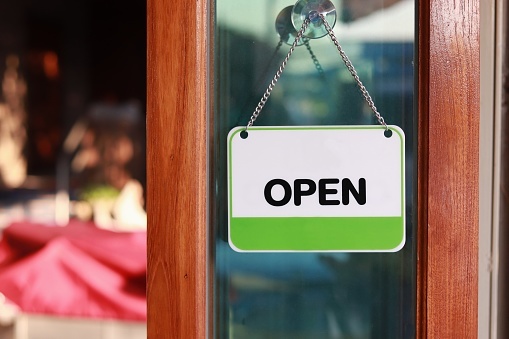 Let’s examine Policies, Protocol and Politeness as it relates to the open office environment. Cost considerations and space utilization can direct an organization’s decision to move from private to mostly open space. However, achieving strategic goals and supporting a firm’s mission, brand message and culture often play a more significant role. By improving collaboration and communication, flattening hierarchies and eliminating siloes, open environments can catalyze the innovation businesses seek. Removing barriers and creating a more efficient footprint brings additional benefits. Open office environments can enhance workplace flexibility and provide the agility to meet evolving business needs. Infusing a workplace with natural daylight helps achieve sustainability and wellness initiatives. Transforming a workplace to a more open setting creates an opportunity to drive other organizational changes. A successful approach to the shift is pragmatic, holistic and begins well in advance of occupancy. It continues through the actual transition and includes regular updates and checkins. Developing and introducing appropriate guidelines, expectations and etiquette to the workforce will help streamline your firm’s adjustment to its new environment, minimizing downtime and lowering stress levels. This paper provides advice on the process for developing workplace protocols and presents an example of guidelines for a hypothetical company that addresses some typical hot button issues. • Gain leadership support and sponsorship. An effective shift begins at the top. Active and visible leaders play a critical role in times of change. It is important to involve them early in the process as they provide the authority and influence necessary for a successful workplace change. An employee’s direct manager also plays a significant role in providing specific information and reinforcing change principles. • Introduce the open office concept. Using multiple forms of media and approaches, educate employees on the changes taking place and the business reasons for the change. Maintain a positive, informative tone while highlighting ways it will benefit them as well as the organization. • Initiate a transition from the old environment to the new. Provide the support and tools necessary to assist employees in the change. For example, shredding and scanning materials ease the move to digital records. Consider offering incentives or sponsoring a company-wide contest for purging physical files. • Involve employees in creating guidelines. Including employees in the process will further engage them, solidify “buy-in” and sidestep a perception that change is “being done to them.” An appropriate level of engagement can give employees a voice, without setting unrealistic expectations of influence. Using the sample guidelines we have provided, brainstorm a list of no more than 5 to 8 issues relative to adopting an open workplace that the group feels should be addressed. Within that list, include these three areas of concern: audible distractions, privacy and uninvited interruptions. 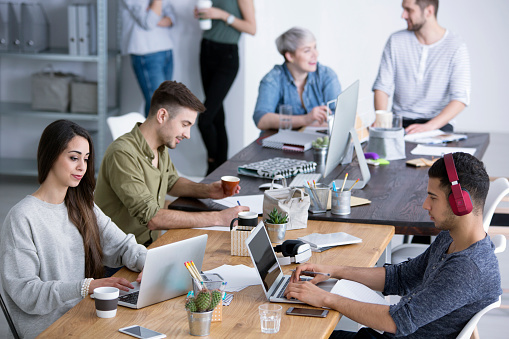 Employee representatives can then solicit input from co-workers on the specific issues, such as common sources of noise in the office, and the collective team can create a short “rule” or guideline that addresses each issue. Some issues may require more than one guideline. involved to ensure that any guidelines you create align with existing policies. • Confirm that the appropriate infrastructure is in place. Security and shared spaces reservation systems should be functional; individual and team workspaces should be fully equipped and accessible. Storage and supplies should be available. All elements of technology, including hardware, power and connectivity, must be available, serviceable and reliable. Be sure to provide proper training to employees and managers on how to use new spaces and technologies. • Deliver guidelines. Use the release of guidelines as an opportunity to reiterate your message and celebrate the mission. Depending on the number of employees involved in the change, you can incorporate the guidelines with other training meetings related to the move. If that is not practical, the guidelines can be posted on the corporate intranet and/or presented via “lunch & learn,” webinar, town hall or other method appropriate to your organization’s size and culture. Guidelines should also be a component of onboarding materials for new hires. • Make the change a positive experience. Celebrating the move process with events and consistent visuals and messaging acts to reinforce a positive experience. 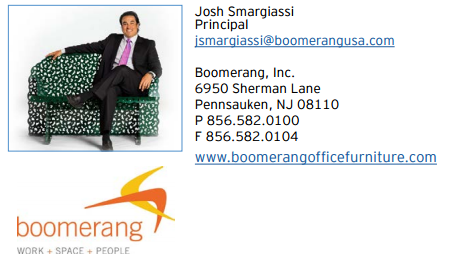 Consider providing a welcome letter from leadership and a small office-related gift to each employee on move day. • Distribute all essential materials and guides. In addition to the sample guidelines presented, develop a printed series of handouts such as office plans, technology instructions and codes, and any other needed guides that employees can refer to. • On move day, have staff on-hand to resolve problems and answer questions. • Lead by example. Managing a successful change starts in the C-suite. Encourage all levels of the organization to follow the suggested guidelines on a daily basis. Users will be more inclined to accept their new workstyle upon seeing senior leaders adopting the new workplace norms. • Monitor and adjust. Assess the successes and shortcomings of the change process. There is no substitute for regular face-to face conversations and walking around to see if policies are working and being adhered to. Build in means for users to submit feedback on how they feel the guidelines are working after about 90 days. Based on insights learned, policies can be tweaked as needed. A well-executed plan will aid in acceptance of a new environment. Moreover, knowing their input was considered and future feedback welcomed will engage and encourage employees to embrace their new space. Commercial real estate brokerage WCRE reported in its analysis of the first quarter of 2019 that the Southern New Jersey and Southeastern Pennsylvania markets continued to show overall solid fundamentals, buoyed by new investments from outside the region and economic inflows to support local expansions. Leasing, net absorption, and prospecting activity all were up in the first quarter, while sales dipped slightly. There were approximately 373,362 square feet of new leases and renewals executed in the three counties surveyed (Burlington, Camden and Gloucester), which was an increase of 10 percent over the previous quarter. The sales market stayed active, too, with about 1.59 million square feet on the market or under agreement. Sales were active, with $24.7 million totaling approximately 186,000 square feet. New leasing activity accounted for approximately 50 percent of all deals for the three counties surveyed. Overall, gross leasing absorption for the first quarter was in the range 411,000 square feet, an increase of 30 percent over the fourth quarter. Overall vacancy in the market is now approximately 11.60 percent, which is 65 basis points higher the previous quarter. Average rents for Class A & B product continue to show strong support in the range of $10.00-$15.00/sf NNN or $20.00-$25.00/sf gross for the deals completed during the quarter. These averages stayed near this range throughout 2018 and have remained there into 2019. Vacancy in Camden County dropped to 11.1 percent for the quarter, which is an improvement of 40 basis points compared to the fourth quarter. Burlington County’s vacancy jumped to 12.1 percent after two straight quarters at 10.4 percent. Burlington was impacted by several large blocks of space returning to the market. The vacancy rate in Philadelphia’s office market moved to 9 percent, up from 7.8 percent at the end of the year. The market’s vacancy rate is at a 17-year low and below that of other major market. Despite this cooling off, demand for office space remains strong, and vacancy in Philadelphia is still below other major cities. Net office space absorption in Philadelphia was 1.1 square feet for the quarter. The industrial sector in Philadelphia remains very strong, though there may be signs of slowing down a bit. The first quarter saw a further decrease in vacancy rates, to 5.1 percent, but net absorption was off, at 4.7 million square feet. Philadelphia retail is treading water to avoid a major spike in vacancy. The vacancy rate ticked down two tenths of a point, to 4.3 percent, while net absorption was positive at 161,406 square feet after two straight quarters in negative territory. Retail vacancy in Camden County dropped to 5.8 percent, with average rents in the range of $16.25/sf NNN. Retail vacancy in Burlington County increased to 7.9 percent, with average rents in the range of $13.10/sf NNN. Retail vacancy in Gloucester County stood at 8.1 percent, with average rents in the range of $13.75/sf NNN. Learn more about WCRE online at www.wolfcre.com, on Twitter & Instagram @WCRE1, and on Facebook at Wolf Commercial Real Estate, LLC. Visit our blog pages at www.southjerseyofficespace.com, www.southjerseyindustrialspace.com, www.southjerseymedicalspace.com, www.southjerseyretailspace.com, www.phillyofficespace.com, www.phillyindustrialspace.com, www.phillymedicalspace.com and www.phillyretailspace.com. 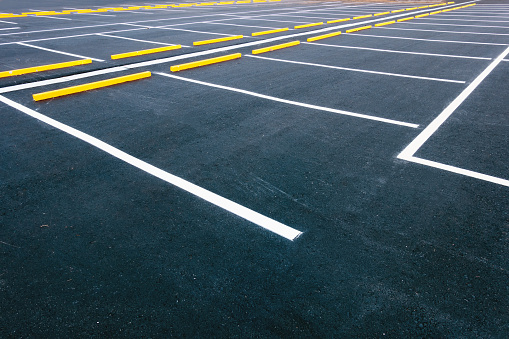 Let’s look at the best practices for proper asphalt parking lot maintenance. The four most precious assets associated with a commercial building; the roof, the HVAC system, the elevator (if there is one), and the parking lot. The parking lot is the first impression of your company to your employees; as well as, your client base. A decision as to do business with a company or not…often comes right in the parking lot. The expected useful life of a parking lot (that was properly constructed) should be 15-20 years providing proper maintenance has been applied. • Crack sealing as soon as they appear, and before they widen/worsen. • New striping for safe navigation by pedestrians and motorists. • Pothole repairs as soon as they appear. • Water should never be standing in a parking lot- find/remediate the root cause. Pavement failure is often the result of standing water and the subsequent freeze-thaw cycles. Small untreated cracks eventually turn into potholes which cause the pavement to fail. Once this or alligatoring occurs, there is no course of action other than costly reconstruction. 1. Must do: Consisting of concerns revolving around property and personal liabilities. Some potential hazards include raised sidewalk, broken curb, potholes, large cracks, alligatored areas, and failing inlets. 2. Should do: Consisting of preventative maintenance measures that will provide life cycle cost savings by “getting ahead” of tomorrows problems today. These include crack sealing, seal coating and small repairs. 3. Could do: When the budget permits, reconstructing the area earlier is better than later. Costly base repairs can often be avoided if milling and paving are performed early. Whether you count your career in months, years or decades…it doesn’t take much time to see this pattern: the overwhelming majority of the property losses you face are liquid based events. 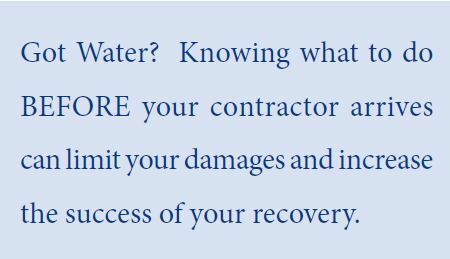 Your “Location, Location, Location” will be interrupted by “Water, Water, Water” because it is the most common cause of property loss. The risk is present year round, whether it’s a flood that’s weather driven, or it rains inside your space due to a plumbing break or roof leak. Due to its threat level to life safety, fire receives our attention to protocols by way of building design, code compliance, annual inspections, drills, materials selection and more. However, the rate of incidence of fire is extremely low compared with the frequency, and high cost of property damage and business interruption caused by water. With this in mind, it’s a great return on your investment of time, to initiate or review your team’s plan for response. • Is my staff aware of the Safety hazards of a water event, and how to safely navigate them? • Is a diverse cross-section of my staff knowledgeable and trained in how to shut off the water? • Are key 24/7 contacts for subs such as plumbers, electricians, alarm and remediation contractors at your fingertips and in hard copy? Is the information published and posted in a logical, accessible manner? • Do I have an app with a closed group, or group text pre-loaded for my crisis team and I to communicate during an emergency? • Is my staff trained in how to divert water in a multi-floor water release, and how to conduct an assessment of the extent of damages? 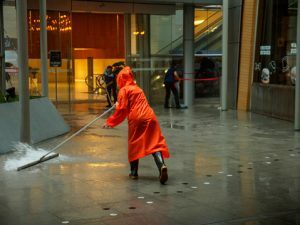 • Do we have basic tools on hand such as shop vacs for extraction, plastic sheeting to cover and protect contents, and clear bags to remove (but not dispose of) water impacted items? • Coordinate with a licensed mechanical contractor to inspect and verify HVAC equipment if affected by water damage. • Contact Alarm & Elevator contractors as needed. • Determine Category of Water Source (Clean or Contaminated). • If Flood or Sewage water, PPE and environmental testing are recommended. Address the source and stop water from flowing into the building. Multiple people in various departments should be trained in how to shut off the water. Photomapping and signage to demonstrate the location and instructions for shut off valves is key. • A Thorough Assessment is the Foundation of a Successful Recovery. Missed areas and issues create costly secondary damage down the road. • Direct and/or capture water in a manner that is efficient and prevents further infiltration and damage. For example, when water pouring from floor to floor, direct water into one stream through one deliberate opening in the ceiling tiles, instead of many points. • Walk the building to determine extent of damage. Use the “360 degrees” approach. Work from the source room/area, up & down, side-to-side, follow gravity as water seeks its lowest point. • Inspection Tools Include: High powered flashlight, Hygrometer (Temp & Humidity Monitor), Moisture Meter, Thermal Imaging camera, painter’s tape for waterlines & mark out and floor plans. • Document via photos & video. • Move sensitive equipment, cover & protect contents. • Extract standing water, set drying equipment. • Manipulate contents in a manner to promote proper drying. For example, move lateral cabinets away from walls, roll back carpet and carpet pad. • Remove saturated contents, do NOT dispose, document, allow insurance adjuster to determine if salvageable. Save potential faulty parts and subcontractor logs in the event subrogration (legal means of seeking other another party’s resources for financial recovery) measures apply. • Review your Organizations Chain of Command & Procedures for Internal Reporting. • Make sure your “phone/text tree” and alert systems are ready to activate your response, and to provide notifications to management, staff and occupants. Tip: A few basic notification templates developed in advance will go a long way towards saving time and stress during a crisis. WCRE | CORFAC International is pleased to announce that it has been appointed by Branch Banking and Trust Company (NYSE: BBT) as the exclusive sales agent to market 3 separate BB&T bank locations in the Greater Philadelphia Area. The 3 locations include two locations in Pottstown, PA and one location in Bensalem, Pennsylvania. 1830 E High Street in Pottstown is a 5,742 square foot building with 3 drive-thru lanes and great visibility along the highly traveled East High Street. The 1111 Ridge Road location in Pottstown is 2,997 square feet with 3 drive-thru lanes and ample parking spaces. The property at 2460 Bristol Road in Bensalem is a 3,889 square foot location equipped with 3 drive-thru lanes and just off the Pennsylvania. All 3 of the opportunities represent great options for an investor or potential owner user/occupant. The locations present highly visible sites for retail or professional uses, as they are surrounded by various other retail attractions and professional offices. “We are very excited about the opportunity to continue building our relationship with BB&T. We are looking forward to replicating our past success of unloading BB&T assets with these three great properties” said Mitch Russell, associate of WCRE. “We are proud of our partnership with BB&T and look forward to continuing our successful relationship with a top-tier financial institution in the region,” said Jason Wolf, managing principal of WCRE. WCRE is a full-service commercial real estate brokerage and advisory firm specializing in office, retail, medical, industrial and investment properties in Southern New Jersey and the Philadelphia region. We provide a complete range of real estate services to commercial property owners, companies, banks, commercial loan servicers, and investors seeking the highest quality of service, proven expertise, and a total commitment to client-focused relationships. 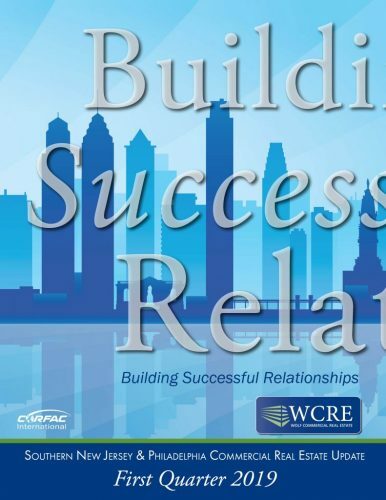 Through our intensive focus on our clients’ business goals, our commitment to the community, and our highly personal approach to client service, WCRE is creating a new culture and a higher standard. We go well beyond helping with property transactions and serve as a strategic partner invested in your long-term growth and success. 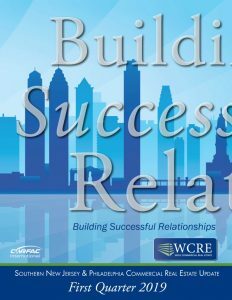 Learn more about WCRE at www.wolfcre.com, on Twitter & Instagram @WCRE1, and on Facebook at Wolf Commercial Real Estate, LLC. Visit our blog pages at ww.southjerseyofficespace.com, www.southjerseyindustrialspace.com, www.southjerseymedicalspace.com, www.southjerseyretailspace.com, www.phillyofficespace.com, www.phillyindustrialspace.com, www.phillymedicalspace.com, and www.phillyretailspace.com. Branch Banking and Trust (B&BT) is a bank holding company currently based out of Winston Salem, North Carolina. BB&T has displayed aggressive growth across the country through acquisitions and mergers culminating in the recent merger with SunTrust. With the completion of this merger, the bank will be renaming itself and relocating its headquarters to Charlotte, NC. With over 2,000 branches across 15 states, BB&T offers commercial and consumer banking along with asset management, mortgage and insurance services to its clients. Additional information can be found at https://www.bbt.com/about-us/default.page. This article talks about how important Office Space Decommissioning is when moving to a new space. Here’s a secret that no one ever tells you about moving – the bulk of your relocation costs are NOT transitioning your belongings to the new space. The fact is, office space decommissioning is a significant factor in your budget, sometimes adding up to 3-5 times that of the actual relocation itself. All too often, clients miss the not so obvious “other move” when it comes to their office relocation. Clients split their time and attention operating their core business while also focusing on the “new” space and the endless questions, details, and decisions that are required to get that space ready to unveil. The “old” space, as well as the furniture in it, is often overlooked. If you think you can just leave the furniture and the cleaning for the landlord, you are mistaken! The problem is that neglecting to properly decommission the old office space leaves you exposed to a wealth of unnecessary costs. The majority of commercial leases contain very specific requirements as to how the old space needs to be turned back over to the landlord. If not, it’s your deposit that hangs in the balance, just waiting to satisfy those obligations you signed off on in your original lease long ago. The removal of unwanted furniture and equipment can be an expensive undertaking, especially if not handled properly, and your landlord is well within his rights to apply your deposit to those costs. Most commercial leases require that the occupied space be left “broom swept.” This means that all contents, freestanding furniture, workstations, office/IT equipment, shelving, racking, etc., must be completely removed, and all floors left cleared of debris and vacuumed. That also means following through on tiny details like removing any data/IT cabling that you’ve added while in residence. Overall, you need to return the space back to its original condition prior to your occupancy. Your lease should spell out the specific requirements and standards you will be held to. So how do you protect your deposit? You need a detailed plan and a schedule! 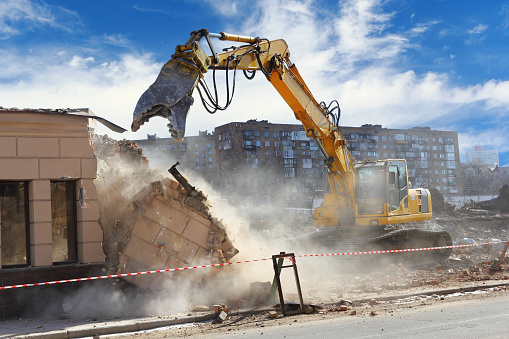 The easiest way to satisfy your lease obligations and get your deposit back is to consult a professional who is well-versed in handling the office decommissioning process. When you partner with the right commercial removal company or transition management company, they can help you properly navigate and negotiate your exit. Most standard moving companies aren’t experienced enough to guide you through this process, and handling it yourself elevates your “soft cost exposure.” Most people over value what they have, don’t fully understand what they’re required to do, and then end up running out of time. The reality is that there is a very tight timeline when you move and the space needs to be vacated. Why wait on a potential buyer to purchase unwanted assets, when it elevates your risk of exceeding that timeline and paying a costly penalty to your former landlord? You need to understand the cost of the distraction to your core business while focusing on something that is only likely to yield a marginal return. position. Although there’s a nominal return for recycled items, the cost for disposing valueless items leaves you with a fee that an office decommissioning expert can help minimize. You don’t want to incur unnecessary storage costs for assets that won’t garner you a net positive return on that investment. Quite frankly, there is an enormous difference between a transition management expert and a standard moving company. Before you sign with a relocation company, discuss with them the decommissioning services that they provide. Pin down the price for the services that you need, and compare that cost with hiring various removal providers. Most commercial movers overlook office space decommissioning, and this portion of the job can cost many times your relocation fee depending on how much of your existing furniture you will be taking to your new space. Once you have the transition team in place, establish a facility decommissioning plan and lock in hard dates and deadlines. Make sure that the company is reliable, and that the personnel have the necessary skills to execute the plan. Often times, it is not worth the risk of going with the vendor with the lowest bid, as the cost for additional “buy back days” at your old space can quickly eclipse those cheap vendor savings. So what is the takeaway from all of this? Simply that companies that focus all their time and effort on “hard costs” of relocation will be blindsided by the much more important “soft costs” of the move. A transition management expert minimizes your company’s exposure to lost revenue by reducing the distraction to your core business and curtailing downtime. Consult with an expert, and the savings on office space decommissioning will more than likely pay for the actual relocation. Argosy Management Group (AMG) is a leader in office relocation and logistics project/move management. 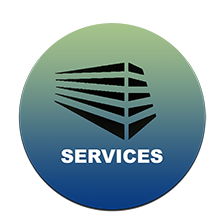 AMG services companies throughout the U.S. and worldwide. AMG delivers a wide range of comprehensive services: move management and transition planning, space planning and furniture needs, office and industrial relocation and liquidation, storage solutions and asset management, furniture disassembly and installation, and I.T./data center relocation. Building life expectancy isn’t what it used to be. What to do with obsolete commercial buildings and how to prevent your portfolio from falling into the trap. Buyers, owners, investors and developers of real estate are facing questions regarding how properties are valued in the current market, especially where there are problems appraising a property’s highest and best use. More specifically, this question focuses on reversion value. Recent Class B or lower valuation projects (as well as some lower level Class A properties) have presented serious, widespread questions from a valuation standpoint. The main question is simple: What should be done with “obsolete” buildings? Historically, such a question became pertinent only after 50-100 years. Buildings were “built to last,” and most were designed to be updated over time. Part of the reason for that long horizon was that ample land was available for expansion. Another was that zoning was very prescriptive and clearly defined in many ways. Lastly, fixed real estate was a capital-intensive asset class. What is driving Decreased Commercial Building Life Expectancy? The short answer is technology. The longer answer is human interaction with technology. Historically, most companies had fairly simple operations and spatial needs, so real estate decisions were driven by location and/or resources, with physical building changes limited by cost and location. The current digital revolution, however, is changing that—literally at the speed of light. Locations are not as “fixed” as they were previously, and businesses’ physical space needs tend to change quickly due to technological shifts. Flexibility will be the key to long-term survival in all industries, including real estate. Traditionally, real estate has been a fixed asset acquired at high prices compared to most assets. Such requirements mandated long lead times, high fixed costs, significant capital resources, segregation of uses, long-term contracts (i.e., leases and mortgages) and zoning. 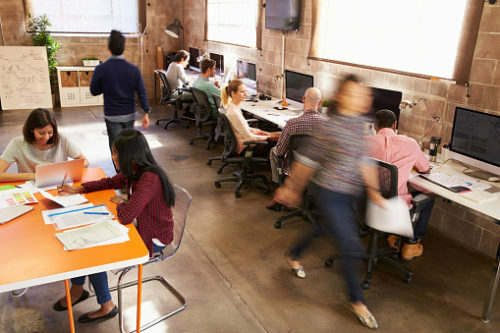 The industry faces the challenge of adapting fixed physical space needs, and all that goes along with it, to meet the new reality of demand for change at the snap of a finger, and how to underwrite office or other spaces that will likely shift to “creative space” when re-financed (at lower rents, not higher). 1. Revised zoning codes that stress density/form over use. The economic lives of buildings are getting shorter and it may be necessary to re-configure space more quickly. This change, however, often runs afoul of local zoning ordinances, minimally, as it relates to uses. If structures in the future are more generic in form, site-specific codes may have to be revised to reflect multiple future uses. By “pre-coding” such code requirements, one of the major impediments to re-development (generically, all permitting costs) can be streamlined for material cost savings and faster re-use. Urban areas already have an advantage in this regard due to greater densities and uses. Suburban areas will need to adapt this concept, or face an even stronger “back to the city” trend than currently in the market. Otherwise, suburban office parks and similar “obsolete concepts” could risk vacancy. All jurisdictions, in order to retain and attract industry—their tax base—will have to re-write zoning laws to allow rapid flexibility. 2. In terms of physical utility, architects and engineers will have to design buildings that can be quickly adapted to alternate uses at a reasonable cost. Aesthetics will still be important. 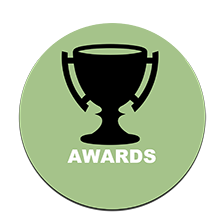 Those who are able to successfully design and build the most flexible buildings first will fare the best. Prime locations will also continue to have great importance. These locations, however, will not be limited strictly to traditional site selection parameters. The key will be how flexible the site and/or building improvements are perceived to be for needed changes due to technological shifts that dramatically alter market demand for that space. The combination of these elements will require a shorter-term view, and investors and municipalities should incorporate some level of alternate use analysis, even from the original construction date. Underwriters would then have the benefit of downside underwriting (to consider future conversion costs)—on a current basis. For many years, zoning and functional utility have simply been boxes to check during the valuation process. Moving forward, and given the rapid clip of technological change, it is now time to remove it from a box and think about a real exit strategy beyond the end of a lease or mortgage term. Let’s examine who owns the fixtures at lease expiration. 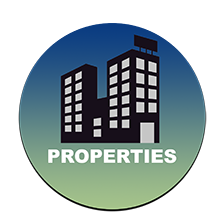 In order to facilitate a smooth transition between commercial tenants, it is important for landlords to understand their rights regarding items attached to their property. Generally, a lease will govern these rights. However, if the lease is silent on the issue, articles annexed to the property deemed “fixtures” must stay with the property, while articles deemed “trade fixtures” may be removed by a vacating tenant. In New Jersey, a fixture is an object that “become[s] so related to particular real estate that an interest… arises under real estate law.” N.J.S.A. 12A:2A-309(1)(a). In contrast, an article may be considered to be a trade fixture if: (1) the article is annexed to the property for the purpose of aiding in the conduct of a trade or business exercised on the premises; and (2) the article is capable of removal from the premises without material injury thereto. Handler v. Horns, 2 N.J. 18, 24-25 (1949). As such, an important distinction between fixtures and trade fixtures is whether removal of the item will cause material injury to the premises. See e.g. GMC v. City of Linden, 150 N.J. 522, 534 (1997). In applying this test, courts infer that if removal of an article would cause material injury to the premises, the parties must have intended for the article to remain beyond the lease term. Id. A typical conflict involving this nuanced distinction may involve a vacating tenant removing an item from the leased premises under the assumption that it was (1) attached to the premises for the purpose of conducting a trade or business; and (2) capable of removal without material injury to the premises. A landlord may dispute one or more of these assumptions, arguing that the article was not used in the conduct of business (that it was in fact attached to improve the structure) or is not capable of removal without material injury to the premises.Over the years, vacating tenants have attempted to remove countless items from leased premises, including air conditioning systems, irrigation systems, bolted down light fixtures and even circuit breaker panels, by arguing these items were trade fixtures. See e.g. In re Jackson Tanker Corp., 69 B.R. 850 (Bankr. S.D.N.Y. 1987). However, it isn’t difficult to imagine a hypothetical where the traditional landlord and tenant arguments are reversed – that is, where the tenant argues that the article must remain with the property and the landlord argues that the tenant is responsible for its removal. This unusual fact pattern may especially arise where the tenant’s business is specialized in nature, and where equipment is not easily removed from the premises. lease, closes, and vacates the premises. Tenant removes the furniture, appliances not fixed to the premises and other items it deems to be trade fixtures and leaves the walk-in freezer infrastructure. Tenant refuses to remove the walk-in freezer, arguing its removal will cause substantial damage to the premises. Unable to re-let the premises to a restaurant tenant, Landlord is left with a walk-in freezer occupying a substantial portion of the premises. It is important that during the lease negotiation, landlords think carefully about the business their prospective tenant is in, the kinds of equipment the tenant will install and what will happen to that equipment upon termination of the lease. This same thought process applies when landlords receive requests for alterations. In the above hypothetical, Landlord could have avoided being left with a walk-in freezer and a less than desirable space if it addressed the issue during negotiation of the lease. A discussion with prospective tenants concerning the specific kinds equipment the tenant will install is always a good idea, followed by specifications and drawings for approval. Landlords are wise to reduce these conversations to writing, and specifically address each party’s expectations regarding the disposition of specific equipment when the lease inevitably comes to an end. As always, an ounce of prevention is worth a pound of cure. The contents of this article are for informational purposes only and none of these materials is offered, nor should be construed, as legal advice or a legal opinion based on any specific facts or circumstances. Can rooftop solar installations increase the profitability of your commercial buildings? Lets explore your options. Experts say the US is past the point where solar is ‘alternative energy.’ In 2018 alone, a new solar project was installed in the US every 100 seconds. 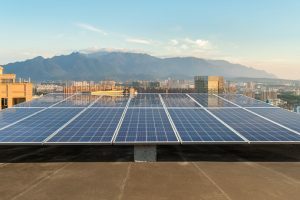 Although regulations and incentives vary state-by-state, commercial real estate owners in all 50 states are taking advantage of the benefits of adding rooftop solar installations to the buildings in their portfolio. Up to now, the owner of the real estate also owned the solar system and was responsible for all maintenance. Starting in 2019, this isn’t necessarily the case for commercial real estate owners and investors in New Jersey. Now, commercial real estate owners in NJ can take advantage of Community Solar due to the newly unveiled/ launched NJ Community Solar Pilot program. Real estate owners in other states, such as Rhode Island, New York, and Maryland, have found great success with similar programs. The Community Solar Energy Pilot Program enables utility customers to participate in a solar energy project that is remotely located from their property and is currently under development. Subscribers from the community pay for subscriptions. 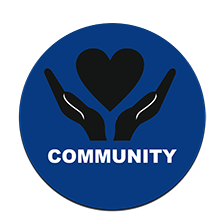 Funds from the subscriptions go to a Community Solar Project Owner or a Subscription Organization. The solar energy from that project goes into the electricity grid. The power from the grid is then delivered to the subscribers, who receive credit on their electric bills for their involvement. Commercial real estate owners in NJ can take advantage of this program by working with an experienced Community Solar Project Owner. 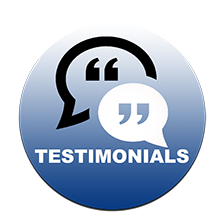 The Community Solar Project Owner pays the commercial real estate owner for use of their rooftop and is responsible for all aspects of the Community Solar Energy Pilot Program. The Community Solar Project Owner applies for the program, builds and maintains the solar system, and pays the taxes. Commercial real estate owners simply collect the checks! Green Skyline Solar is a vertically integrated partner in the deal-flow process in utility scale, Community Solar, and large net-metered solar projects. Green Skyline Solar’s investor consortium has leased/ purchased and developed 75% of the first Rhode Island Community Solar program equaling $50M in investment capital and 20% of the first Maryland Community Solar program equaling $30Min investment capital. Green Skyline Solar’s team has developed over 500mW nationwide. Is Real Property Subject to NJ Sales & Use Tax? Is the new construction, renovation, repair, and maintenance of Real Property subject to NJ Sales & Use Tax? While we can generalize, there is no easy answer to this question as there are many variables that need to be considered to make a proper determination. 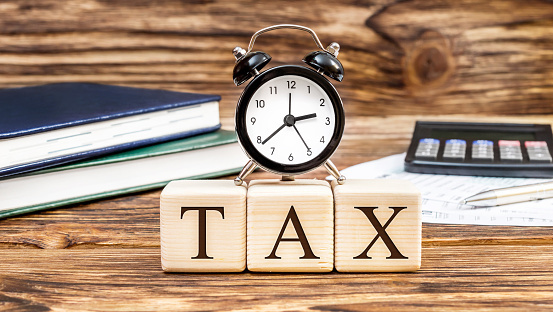 Additionally, your contractor often isn’t much help as they simply just charge tax or solicit an exemption certificate from you to protect themselves with little thought as to the actual taxability of the services to be provided. That being said, let’s see if we can simplify things. In NJ a contractor is deemed to be an individual or business entity engaged in the business of improving, altering, or repairing real property. By law, contractors are the consumers of materials & supplies they purchase in the course of performing their services and as such are required to pay NJ Sales or Use tax on these purchases unless the work is for an exempt organization, a qualified business in an Urban Enterprise Zone, and a qualified housing sponsor, or they hold a valid direct payment permit. Therefore, you should never pay NJ Sales or Use Tax on separately stated charges for materials & supplies billed by your contractor regardless of the type of work being performed. Your contractor is solely responsible for the payment of the tax on materials & supplies and it must be presumed that the tax is included in the separately stated charge. A NJ Contractor is performing a capital improvement when their installation of tangible personal property increases the capital value or useful life of the real property and the item(s) installed are permanently attached to the real property. The labor charge for a capital improvement is exempt from tax and should be supported by the issuance of an ST-8 Capital Improvement Certificate to your contractor. An analysis of the specific work to be performed needs to be done to see if the above criteria are met. To meet the criteria of an increase in capital value, a NJ auditor will often look to verify whether or not the project lead to an increased assessed value for local property tax purposes. 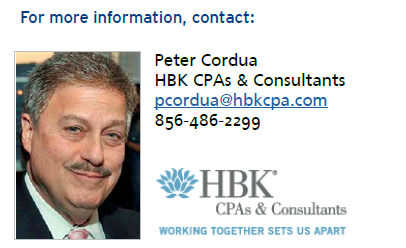 Further, in verifying the useful life of a project, a NJ auditor will review the accounting treatment of the project. If the project in question is not treated consistent with real property that has an increase in useful life for Internal Revenue Service purposes, it will likely not be considered to meet said criteria. Lastly, if the item(s) being installed are not permanently attached, the project will not be deemed a capital improvement exempt from tax. The permanently attached criteria is met when the item(s) are attached in such a way that its removal would result in substantial damage to the real property. Despite what we note above regarding a capital improvement project, NJ law identifies three “taxable” capital improvements that regardless of the facts and circumstances are always taxable. They are landscaping services, the installation of hard-wired security, burglar, or fire alarm systems, and the installation of carpeting and other flooring. This is so even when these services are provided under a multi-trade construction contract for a new building or renovation. However, the incidence of the tax will vary. If you hire a contractor for a multi-trade construction contract and they directly perform a “taxable” capital improvement, you should be charged NJ Sales Tax and/or remit NJ Use Tax on these items. However, if your contractor hires a sub-contractor to perform a “taxable” capital improvement the incidence of tax is between your contractor and the sub-contractor. Labor charges for the maintaining, servicing, and repair of real property by a contractor are taxable. A repair is work that maintains the existing value of the real property or restores the property to working condition. They do not add value or prolong its life. Generally, the new construction and renovation of real property is exempt from NJ Sales & Use Tax (other than “taxable” capital improvements) while the repairs & maintenance of real property are taxable. That being said, as noted above, great care should be exercised in determining a capital improvement versus repair & maintenance to ensure proper tax treatment. On October 19, the U.S. Treasury Department issued proposed regulations for the federal Opportunity Zone tax incentive program created under the 2017 Tax Cuts and Job Act. These regulations were highly anticipated by the real estate development and fund creation communities, which have been eagerly awaiting clarity from Treasury since the creation of the Opportunity Zone program earlier this year. The program could become the most impactful federal incentive for equity capital investment in low-income and distressed communities ever. It offers significant capital gains tax benefits for taxpayers who invest in projects and businesses in low-income areas, allowing investors to delay, reduce and potentially eliminate capital gains taxes on appreciated assets or business located in and on Qualified Opportunity Zone investments. Qualified Opportunity Zones are census tracts located in all 50 states in a low-income community. A detailed interactive map by state identifying the applicable opportunity zones is available at https://eig.org/opportunityzones. As Forbes magazine indicated, there is likely $6 trillion of capital gains in the U.S. that represent potential available investment capital that could use this program to drive investment into applicable Qualified Opportunity Zone businesses or real estate. The program is not limited to any specific product type nor does it mandate any job creation requirements as part of the investment in a Qualified Opportunity Zone. Thus, the program is applicable to any type of investor with capital gains from the sale of personal property or real property and to developers/owners of all property types including multi-family rental, retail, hotels, industrial, commercial, office, industries, self-storage, assisted-living, affordable housing, etc. Under the Opportunity Zone program, individuals and other entities can delay paying federal income tax on capital gains until as late as December 31, 2026 – provided those gains are invested in Qualified Opportunity Funds investing 90 percent of their assets in businesses or tangible property located in a Qualified Opportunity Zone. In addition, the gains on investments in Qualified Opportunity Funds can be federal income tax-free if the investment is held for at least 10 years. These tax benefits could reduce the cost of capital for these projects, making them more viable, especially when paired with other development incentives like the New Markets Tax Credit or Low-Income Housing Tax Credit. Specifically, appreciation on investments within Qualified Opportunity Funds that are held for at least 10 years are excluded from gross income. Thus, the longer one has an investment within a Qualified Opportunity Fund within an Opportunity Zone, the more one can reduce its capital gain – either by 10 percent or 15 percent, and if one stays in the zone for 10 years or more and the property or qualified business appreciated in value, the appreciation is not subject to capital gains tax at the federal level. The regulations as proposed give the investor/owner until December 31, 2047 to sell the business or property in order to take advantage of the no capital gains to be paid on the sale of appreciated assets rules. Additionally, owners of low tax basis properties can sell their properties and defer the capital gains to the extent the gains are invested in a Qualified Opportunity Zone, which will likely attract investor capital that is looking to defer capital gains, thereby making the Qualified Opportunity Zones potentially more valuable than non-Qualified Opportunity Zone properties. While the benefits of the program can be advantageous, investors and developers seeking to capitalize on the Opportunity Zone program need to move quickly in order to take full advantage of the tax benefit as demand increases and the time period diminishes. In other words, as the program only lasts until 2026, the seven-year ability to reduce capital gains by 15 percent will disappear if investments are not made by 2019 and the five-year ability to reduce capital gains by 10 percent will disappear if not made by 2021. Therefore, if one is interested in maximizing the value of the program and its value to investors, investors and developers need to move quickly to commence development and acquisitions in order to maximize the time periods available to invest their capital gains inside the program windows provided within the program. Additionally, in order to defer short- and long-term capital gains realized on the sale of property, the capital gain portion of the sale or disposition has to be reinvested within 180 days in a Qualified Opportunity Fund. Also important to note that gains are required to be recognized on the earlier of a disposal of the Qualified Opportunity Fund investment or by December 31, 2026, and are reduced over time. The basis of the Qualified Opportunity Zone investment increases by 10 percent of the deferred gain if the investment is held for five years from the date of reinvestment and by 15 percent of the deferred gain if the investment is held for seven years from the date of reinvestment. In other words, the gain on which capital gains is paid is reduced to 85 percent of the original gain. 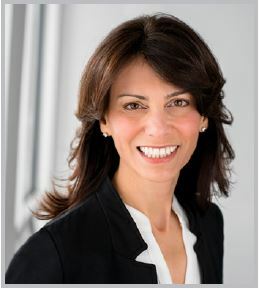 While the recently announced regulations provided clarity on specific time period for self-certification as an Qualified Opportunity Zone fund, for what constitutes a Qualified Opportunity Zone business and for what structures now qualify as Qualified Opportunity Zone Funds (i.e., limited partnerships, C-corporations, limited liability companies, REITs, RICs, etc. ), investors need to be aware that certain rules regarding related parties and original use property still need to be clarified by Treasury in additional regulations. In Southern New Jersey, the program will drive investment from all types of developers and investors seeking to place their capital gains into funds and seeking to place applicable businesses into Qualified Zones in order to potentially defer and reduce applicable capital gains. Developers will seek to purchase land in order to build with their own capital and/or equity from Opportunity Zone investment vehicles in order to utilize cheaper sources of capital and drive development returns. Atypical real estate investors who are looking to defer and reduce capital gains may not be looking for typical real estate like returns due to the fact that they will be able to defer and reduce their capital gains via the Opportunity Zone program which will likely create a healthy dynamic for capital flows. Sectors such as multifamily, warehouse, self-storage, grocery anchor retail, and assisted living will see substantial interest from investors and developers. In Camden County, areas such as Cinnaminson, Pennsauken, Deptford, Camden, Pine Hill, Glassboro and Lindenwold will likely be hot spots for focused/targeted Opportunity Zone investment. In Atlantic County, parts of Atlantic City, Pleasantville, the Atlantic City International Airport, Somers Point and in Cumberland County a large swath of Vineland has been designated as an Opportunity Zone and will likely see interest for focused/targeted Opportunity Zone investment. As Confucius once said, it is good to live in interesting times. Not a day goes by without an article or post online regarding Opportunity Zones and the ability to utilize them for development and capital gains deferral. Now is the time to optimize your capital gains deferrals and reductions if you have them vis-à-vis the sale of personal property or real property. 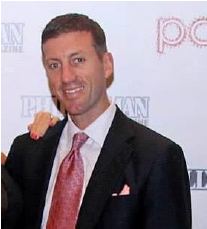 Interested investors are already focusing on deploying capital in New Jersey and elsewhere in substantially improving various asset classes and in creating funds to deploy in investing in various asset classes. 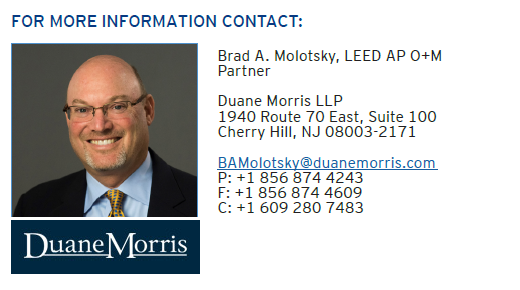 Brad Molotsky is a real estate attorney and partner in Duane Morris’ New Jersey and Philadelphia offices. 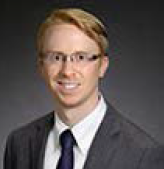 He advises clients on commercial leasing (including a specialty in cannabis leasing), acquisitions, opportunity zone fund creation and fund deployment, financing, public private partnerships and real estate joint ventures. He can be reached at BAMolotsky@duanemorris.com. Did you prepare your parking lot for winter? 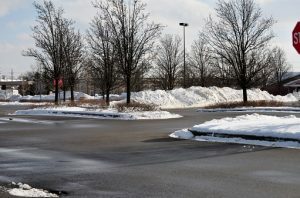 Most property owners neglect this because many property managers and commercial property owners are unaware of how the winter weather, salt and plowing can cause damage to their parking lot. The harsh freeze-thaw cycles cause asphalt to expand and contract, allowing water to seep into the foundation. This creates permanent damage, in the form of cracks and potholes. While the intention for salt and plowing is to help clear parking lots of snow and ice, these techniques also contribute to further damage. Salt is an effective method for melting snow and ice to prevent slips and falls, but it also erodes the asphalt and inner walls of storm drains. Inexperienced drivers can position the plow too low, scraping away any prior sealcoat and loosening debris from existing potholes. Plows can also chip or crack curb. should cleaned of debris and filled. If hot asphalt is not available, consider using a high performance cold asphalt product like EZ Street. This product is perfect for the winter and even works in water. It is so easy to use, your maintenance team can apply the EZ Street in the potholes themselves in the coldest of temperatures (the more traffic the better compaction). Planning for spring maintenance is the best way to prepare for winter. By completing an assessment of your parking lot (looking for potential liabilities, safety hazards and aesthetics), you can budget accordingly for necessary improvements. If there is visible damage it is time to call a paving and maintenance contractor to repair, sealcoat and crack seal your parking lot. Crack sealing prevents moisture and water from penetrating under the asphalt surface creating potholes. Sealcoat helps prevent oxidation and degradation from the sun and traffic. If you missed the boat last spring with parking lot maintenance and you notice that there is now damage from salt, plowing and harsh winter weather, rescue your parking lot by addressing the storm drain and curb damage. Then set yourself up with a spring maintenance plan to prepare for the following winter season.